My quilted fabric baskets are handmade using a variety of fabrics allowing me to create a large collection of unique baskets. Basket colors range from soothing earthtones to pretty pastels, riotous rainbows to graphic black and whites. Browse through the gallery to see some samples of my baskets and to get an idea of some of the ways in which they can be used. 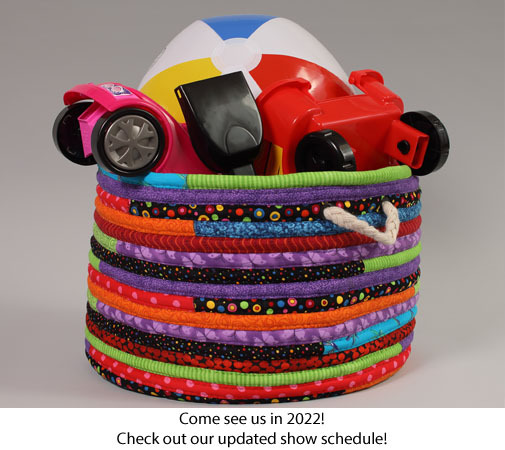 Or check out my show schedule and drop by to see my baskets.